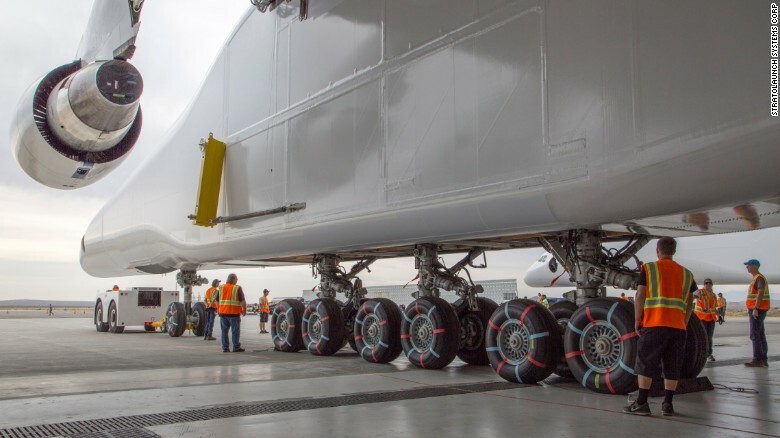 (CNN) – Even if you had been allowed to kick the tires as the world’s largest airplane was rolled out for the first time Wednesday, it might have taken you a while. 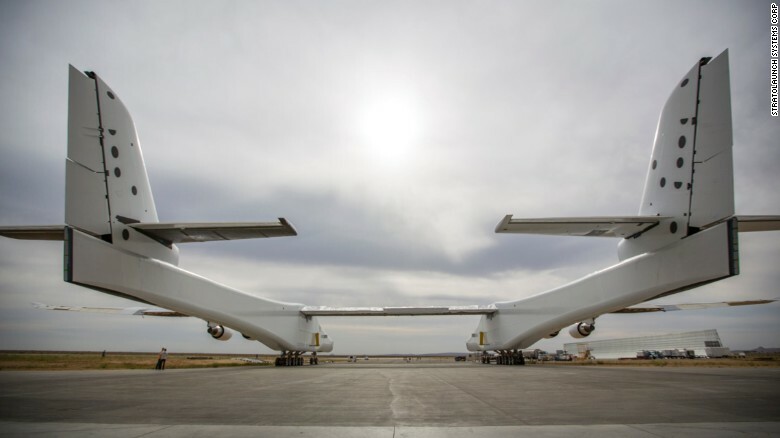 While the Stratolaunch has the biggest wingspan, the Antonov An-225 is longer. When business mogul Howard Hughes’ “Spruce Goose” lumbered into the air in 1947, the H-4 had an enormous wingspan of 320 feet. Allen, owner of the NBA’s Portland Trail Blazers and the NFL’s Seattle Seahawks, has written about his desire to see more use of low Earth orbit without breaking the bank. The duo collaborated on the launch of SpaceShipOne in 2004. Allen isn’t the only US billionaire with the dreams and pockets big enough to take on space. Jeff Bezos, the Amazon CEO, and Elon Musk, the Tesla and SpaceX CEO, have distinguished themselves as the must-watch innovators pushing hardest to bring the future to us today. CNN’s Matt McFarland, Thom Patterson and Jackie Wattles contributed to this report.